Illuminated signage must be attractive during the daytime but provide a dynamic, highly visible display at night. 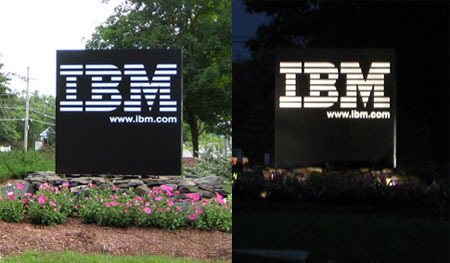 This fully landscaped, double sided IBM sign, measuring approximately 6ft. on each face is shown in both day and night conditions and is the perfect example of a flawlessly executed design.